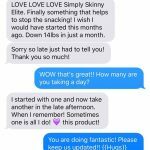 Simply Skinny GOLD provides you with:  an exceptional lasting energy with no jitters  no crash  can curb the appetite significantly  speeds up the metabolism. 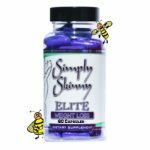 It’s the Simply Skinny GOLD matrix of both natural and man-made ingredients that are responsible for it’s extraordinary appetite suppressing action. If you are looking for something you don’t really want to go on a dramatic diet or spend countless hours exercising to lose weight then this is a supplement you are looking for. As an appetite suppressor, you will no longer have to fail another diet, wreaking havoc on your self esteem. Instead, have more control of when you eat and how much. The metabolism boosting action serves to increase your energy levels, helping you stay alert and active throughout the day. 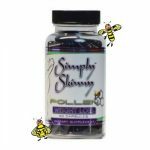 Ingredients: 1121 MGS (per serving) Kigelia Africana, Phenibut, Banaba 1% Corosolic Acids, Senna Leaf, Yohimbine HCl, Caffeine Anhydrous, Capsimax™, Higenamine HCl, White Willow 15%, Salicin, Bee Pollen Other Ingredients: Gelatin (capsule), Cellulose, Magnesium Sterate, Silica * Directions: Serving Size: 2 Capsule Servings Per Container: 30 Suitable for both men and women. Not suitable for: Not intended for persons under the age of 18. Do not use if pregnant or nursing. Consult a health care professional prior to consumption if you have any pre-existing medical conditions or are taking any prescription medication. Improper use of this product will not improve results and is potentially hazardous to a person’s health. Use only as directed.